Austin, the capital of Texas, is well-known for its cutting edge technology, restaurant, and music scene. 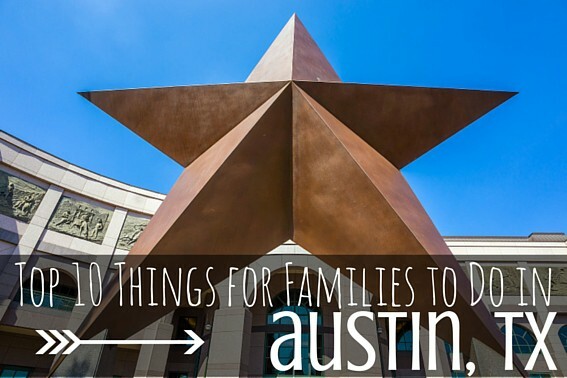 Families can get a taste of that scene plus so much more while visiting Austin with kids. There are plenty of museums to visit and outdoor adventures to be had. Explore our favorite kid-friendly activities and attractions in this central Texas city. 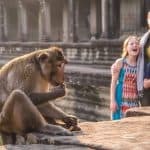 Whether you are here on a family vacation or a local looking to explore the best of what Austin has to offer, here’s your Austin with kids bucket list. 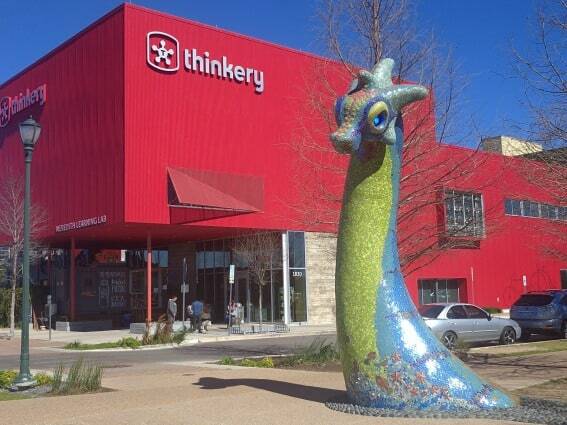 The entire family can delve into hands-on art and science exhibits at Austin’s brand new children’s museum, The Thinkery. Together, see how far a self-designed airplane can fly, paint on windows, make a stop motion video with LEGOs, experiment in a kitchen lab with real appliances, and much more. Kids will especially enjoy playing on the outside playground. The Thinkery is located in Mueller Lake Park, which has wide open green space with a walking path around the lake and a sizable playground. Take a hold of Texas history as you wind your way through two floors of artifacts, documents, and short films that paint a rich and detailed picture of the people of Texas from the 1820s through the present. 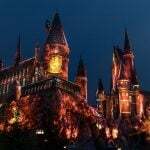 The kids will especially enjoy completing the photo scavenger hunt and catching a documentary in the IMAX theater. History buffs may want to spend extra time on the first floor, which is dedicated to the reconstructed French ship, La Belle, that wrecked off the coast of Texas in 1686 and was discovered along with thousands of artifacts aboard in 1996. 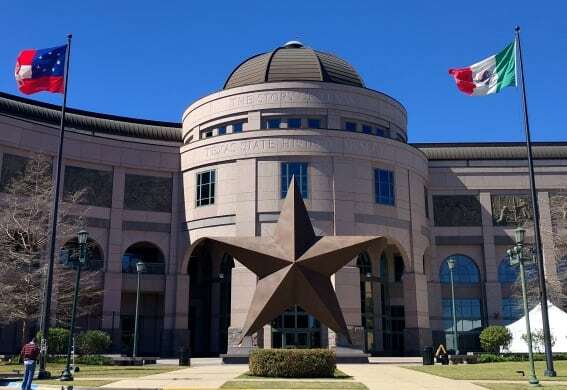 The Bullock Texas State History Museum is just a few blocks up from the Texas State Capitol, so you can’t miss a nice view of the largest capitol building in the country. 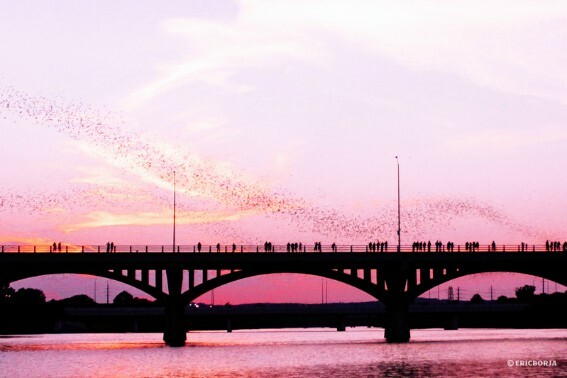 Don’t miss the unique opportunity to watch the Mexican free-tailed bats that live under the Congress Avenue Bridge take off at sundown for their nightly feed (from March through October). This is the world’s largest urban bat colony. The best views of this natural spectacle are from the water, either on a “Bat Cruise” (check out Capitol Cruises) or a kayak; but you can stand on the bridge to see them as well. Austin proudly hails itself the “Live Music Capital of the World.” With plenty of venues to take it all in, watch a show in Austin with kids in tow. Central Market North, which in itself is an institution in Austin as it gives a whole new meaning to the term “grocery store,” has live music outside on the deck most weekend evenings. This is an especially great place for the family with tots as there is a huge playground close to the stage. Hill’s Café and Shady Grove also have live music and food during dinner hours in a family friendly environment. If your kids turn into pumpkins when the sun goes down, a brunch show would be a great choice. 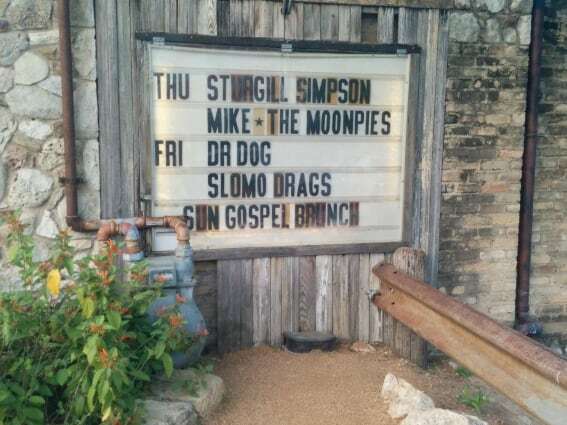 Enjoy southern comfort food at “Gospel Brunch” at either Stubb’s or Threadgill’s, two of Austin’s most iconic music venues. For a lower key affair in the morning, Strange Brew Coffee and Cherrywood Coffeehouse both host a show specifically catered to children on weekend mornings. 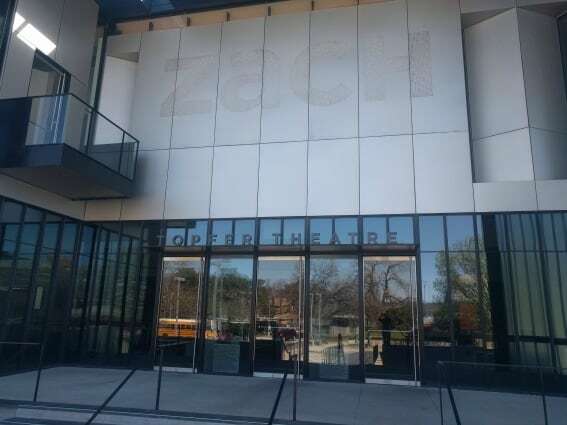 The whole family can delight in stories come to life at the ZACH Theatre. A professional theatre company with world-class talent and inventive productions, there is not a bad seat in the house, so even the littlest theatre goer can stay engaged. The shows are only about an hour long and the cast stands ready to meet and greet everyone afterwards. Snacks and drinks are allowed inside the theatre, and if you have a fidgety toddler, you won’t be the only one. ZACH puts on several children’s shows a year, like “Alice in Wonderland” and “James and the Giant Peach.” Our family holds season tickets and wouldn’t miss a single show! South Congress Avenue is arguably the best area in Austin to simply stroll, window shop, pick up a souvenir, people watch, and get a bite to eat. Lucy in Disguise is a costume shop with all kinds of vintage clothing and accessories. Big Top Candy Shop is an old-fashioned candy store where most likely you can find some candy that you have never tried before. Ration your candy purchases though because Hey Cupcake! trailer and Amy’s Ice Creams are just up the block. The Mexican Vanilla is famous in these parts! Boutiques to pick up a T-shirt, coffee mug, jewelry, or one-of-a-kind artwork abound. 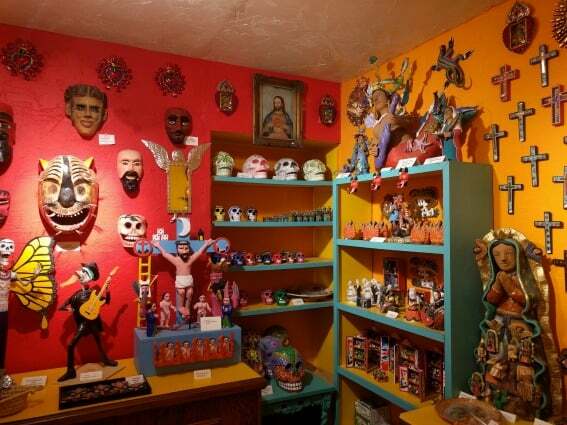 Kids will especially enjoy the Mexican sculptures at Turquoise Door and strange vintage finds at Uncommon Objects. If you happen to be in town on the first Thursday of the month, the local businesses host a street party in the evening with special happenings like music and giveaways. 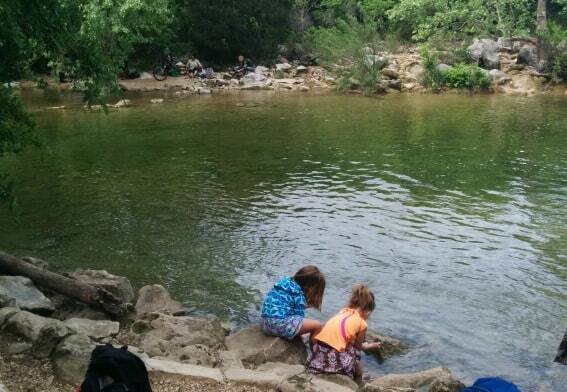 When visiting Austin with kids, you can’t miss a walk, run, or splash along the nearly eight miles of nature trails on the Barton Creek Greenbelt. You may see a deer, coyote, or roadrunner along the way, and the greenbelt is excellent for birdwatching. Families can scout out the perfect picnic spot, the best rock to climb, or the ideal swimming hole. One of the easiest access points to the greenbelt is the Twin Falls trail head right at the intersection of Mopac (Texas State Hwy Loop 1) and Highway 360. 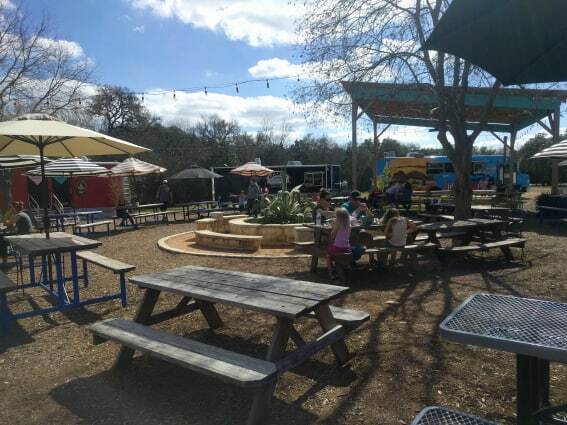 Savor a delicious and imaginative meal at an Austin food trailer park. The best part is that everyone can try a completely different category of food. While you can seek out some highly regarded food trailers like Micklethwait Craft Meats and Veracruz All Natural, it can be difficult to feed picky eaters at just one trailer because the menu is often very specialized. The food trailer park is the perfect solution! 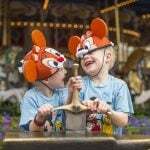 There are several food parks around town, but The Midway Food Park is made for families. It’s like one big happy Austin family having a backyard BBQ. There is a playground and lots of open space for the kids, so pick up some local brews (the park is BYOB) and be prepared to spend a couple of hours there. 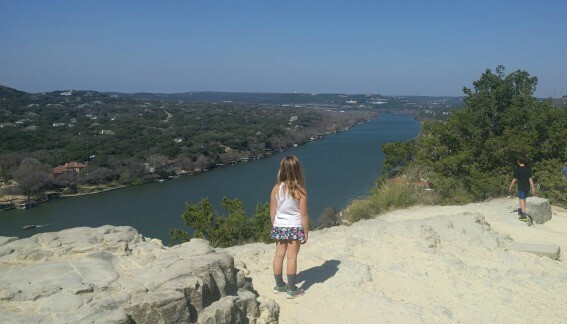 Take in magnificent views of the Texas Hill Country from Mount Bonnell. Take amazing photos of green rolling hills, the Colorado River, and, on a good day, the Austin skyline. 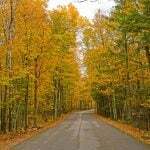 It is also a nice drive through one of Austin’s prettiest neighborhoods to arrive at the access point. Reach the summit by walking straight up numerous stairs, so strollers or wheelchairs don’t work here. I have taken people of all ages to the top of Mount Bonnell and they have all enjoyed it, some just make it to the top a lot faster than others. 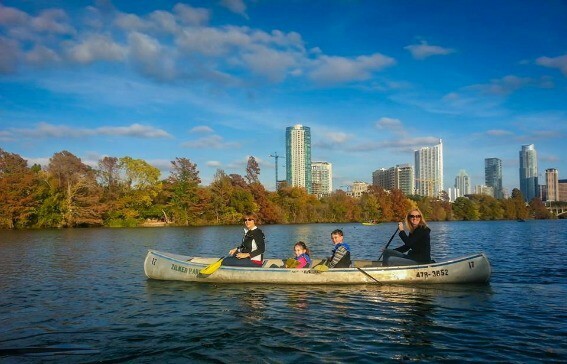 Zilker Park is the perfect place for families to soak up fresh air and warm sunshine. Take a refreshing dip in Barton Springs Pool or take a peaceful canoe ride on Lady Bird Lake. There is a concession stand, a large playground, a kiddie train, and an educational exhibit called Splash! right next to Barton Springs Pool. It is possible to spend several days exploring everything Zilker Park has to offer families as it is also home to Zilker Botanical Gardens, Umlauf Sculpture Garden, and Austin Science and Nature Center. Culinary indulgence is so thoroughly weaved into the culture of Austin that it can be a challenge to do things that don’t involve a delicious meal in one way or another. 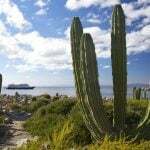 The absolute priority should be getting some excellent Tex-Mex and BBQ, although the city boasts a great restaurant for almost every cuisine. For Tex-Mex, Matt’s Famous El Rancho, Mi Madre’s Restaurant, and Chuy’s are the old standbys with good reason. 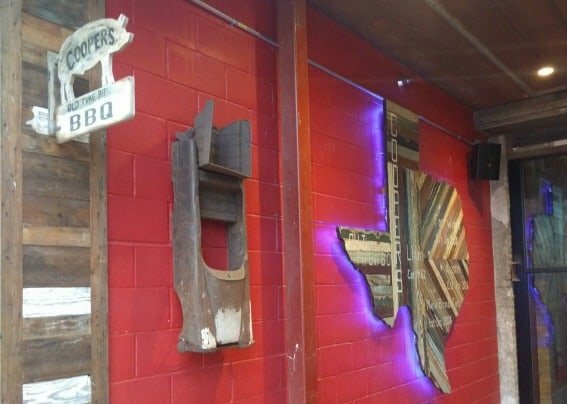 For BBQ: County Line, The Salt Lick, or Rudy’s Country Store & Bar-B-Q will leave your inner carnivore completely satiated, perhaps for weeks! If you need a break from all the meat, Bouldin Creek Cafe is the best vegetarian restaurant in town. Don’t miss brunch at South Congress Cafe or Kerbey Lane Cafe and savor a leisurely morning coffee on the lake at Mozart’s Coffee Roasters. Johnson City was the hometown of President Lyndon B. Johnson and there are plenty of things to do there that make it well worth a day trip from Austin. 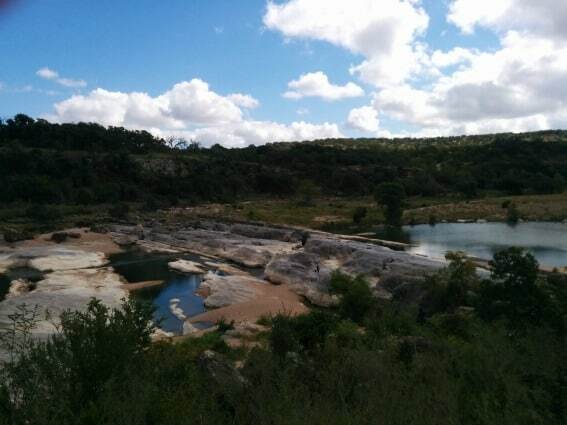 Hike, swim, and take in gorgeous views of the Pedernales River at Pedernales Falls State Park. Eat lunch on Main Street (Pecan Street Brewing is our family favorite) and enjoy some interactive learning at the Hill Country Science Mill. If you skip the state park, you might have time for a tour of the LBJ Ranch and Sauer-Beckmann Living History Farm. Alternately, the Johnson City Exotic Resort Zoo is a huge hit with our kids. 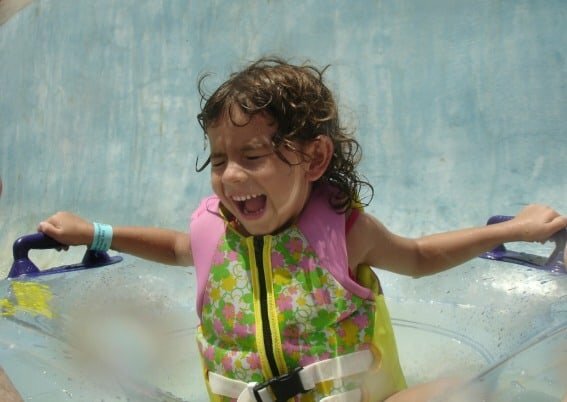 If you are visiting Austin in the summer or for spring break, a day trip to the Schlitterbahn Waterpark in New Braunfels might be just the thing your family needs for all out wet-and-wild fun. Part of what makes this waterpark special is that it fits into the natural surroundings so well. It is right on the Comal River, with lots of mature trees for shade and cute German themes in honor of the town’s German roots. Even better, coolers with outside food and drink are allowed, although the food available in the park is quite good – they smoke their own BBQ and make a delicious Wurst Burger. Schlitterbahn has all the thrill rides a waterpark needs and plenty of little slides and pools for smaller children as well. 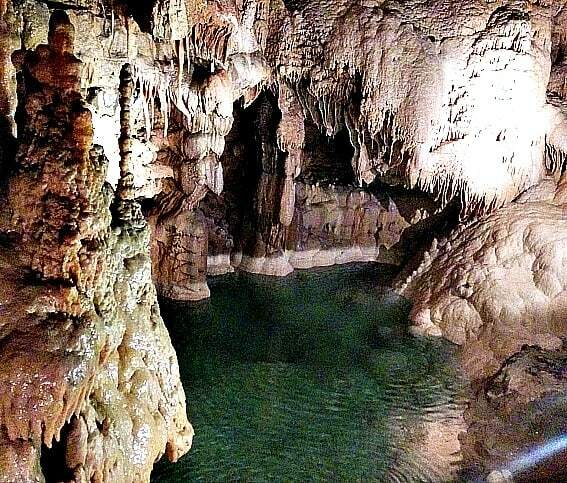 Become an explorer for a day in this awe-inspiring cavern on the guided “Discovery Tour.” The guides are very friendly and will point out all kinds of rock formations along the way. There is also a ropes course, maze, and zip line (priced individually) on the property, with a mini-ropes course for younger children. The “mining” for gems in the sluice is surprisingly fun as well. The food court has a limited selection, so you might consider bringing a picnic to enjoy outside instead.